Belonging to River Oaks Golf Club is about golf and so much more. River Oaks offers members an unmatched lifestyle marked by outstanding quality as well as a relaxed welcoming ambiance. Service is attentive and personal. And River Oaks’ vibrant, growing membership with a year round calendar of activities and social occasions ensures friendships among members come easily and naturally. Our hilltop hideaway is conveniently located just east of I-35 off Hefner Road, making it an easy stop for Edmond or Oklahoma City residents. 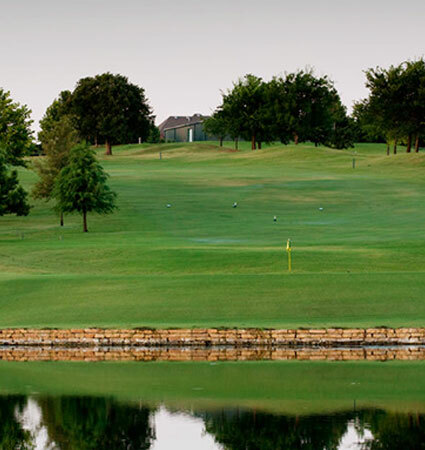 River Oaks Golf Club is home to a lively golf community with players of all levels. Our events calendar offers everything from a weekly blind draw scramble, couples golf, guest days, and competitive tournaments. Junior players can take part in our summer camps, family play days and junior golf league. River Oaks provides a comfortable and friendly place for families and individuals of all ages to enjoy a lifestyle of camaraderie, relaxation and the sport of golf…where families feel at home and friendships are forged. Apr 25 | Ladies Golf Assoc.